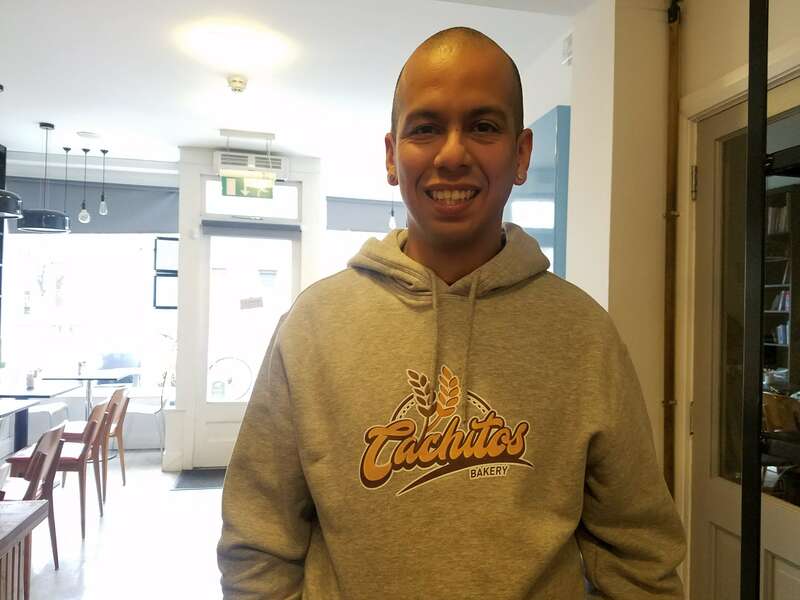 This week on the Circular, an interview with Rafael Plaza, a Venezuelan entrepreneur who has bet on a new breakfast option for Dubliners. Rafael Plaza, entrepreneur and owner of Cachitos Bakery // Photo credit: Andreina Gonzalez. Rafael is a Venezuelan living in Dublin over the last two years and is one of the many trying to make a business of his own and investing in the Irish economy. 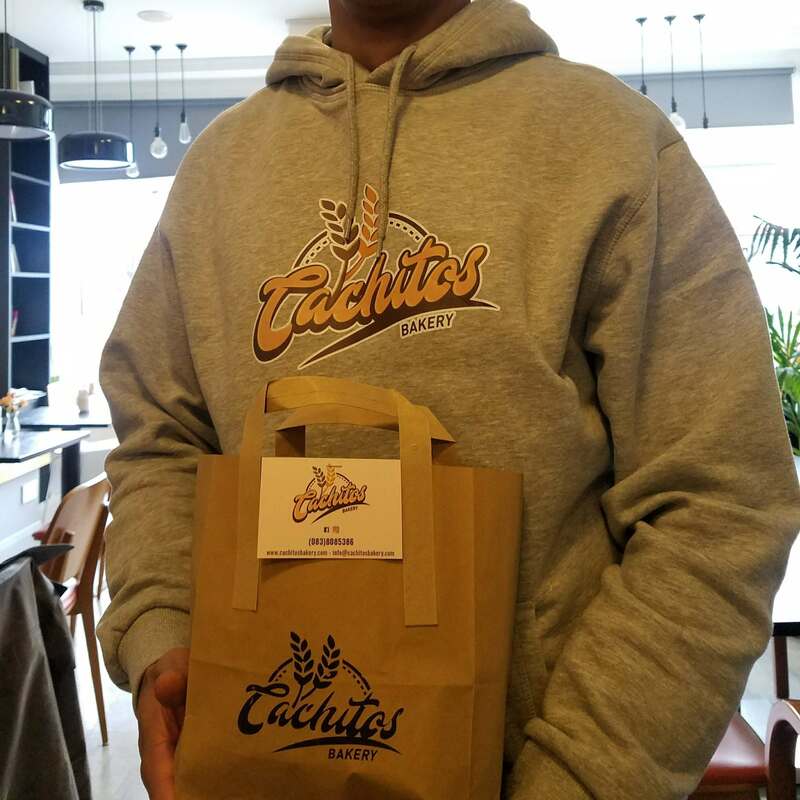 Early this year he and his business partner, Agnieszka Surdyka, saw one of his dreams come true with the opening of Cachitos Bakery to the public. In conversations with the Circular, he told us more about it. First of all, what is a Cachito? Cachito “is a Venezuelan product created by Portuguese in our country”. It is called Crescent roll-ups, a sweetened bread stuffed with chopped smoked ham (originally). They are a Venezuelan tradition mostly eaten during breakfast hours and they are a must-have in every Venezuelan bakery. Where and when did you learn to cook? Rafael has been cooking non-stop for the last 4 years. 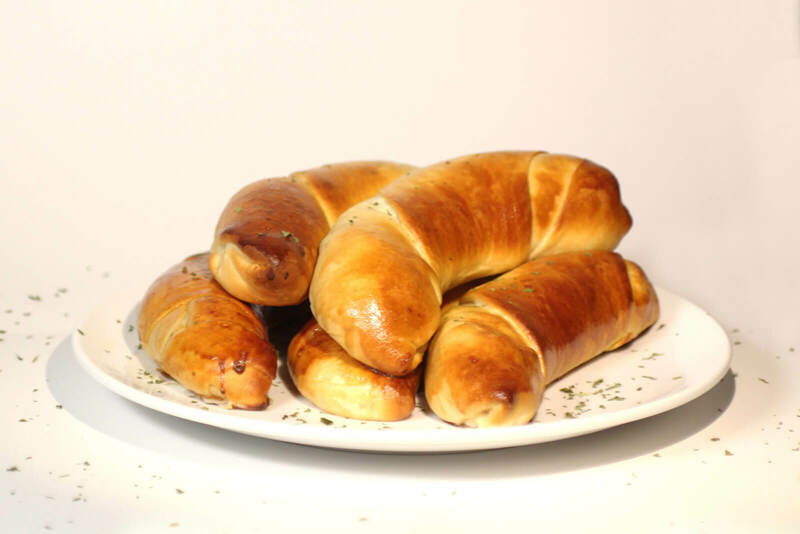 Tell us about Cachitos bakery. “The idea came from home when I was baking Cachitos and thought about it as a business option, to bring to the Irish a choice of Venezuelan breakfast”. 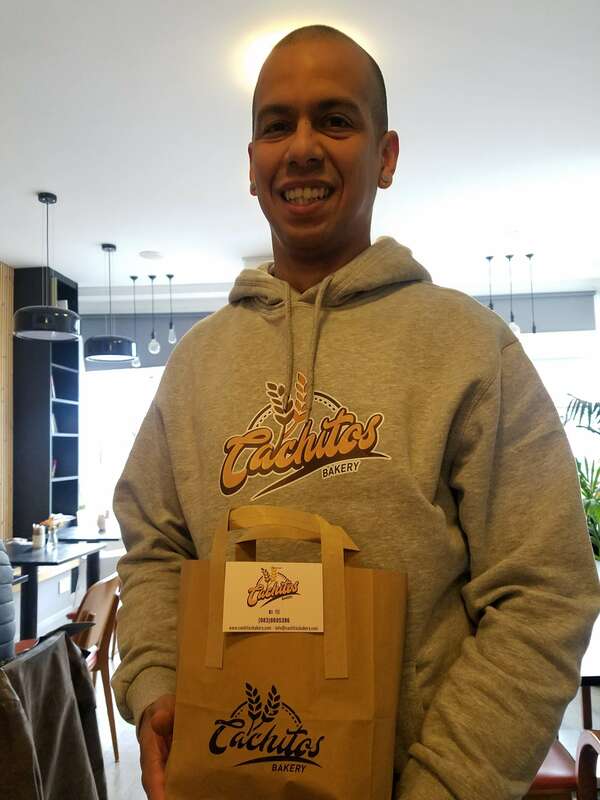 They made their research and it turns out there are Venezuelans in Dublin selling Arepas and Tequeños, but Rafael is the first selling Cachitos, and since February 2018, we can all try his recipe. Who taught you how to make Cachitos? “I learnt on my own. I like cooking and trying new recipes. One day I decided I wanted to learn how to make Cachitos and since that day I had been developing and improving on the recipe until I got to the point I was happy with the results. Then I thought I could sell it to others.” Did you use to sell them back in Venezuela? “In Venezuela, I worked in different fields but I never bet on the food industry. I never sold Cachitos in my country”. How is like to be an entrepreneur in Ireland? “In the course of my life, I had tried to be an entrepreneur in different fields, but I had never taken it seriously. Just now I realised I can do this because I love what I am doing and all my efforts go into it. In the same way, I think Ireland is a good place to invest in. The country has opened up to us and I believe 2018 is the year for investments and entrepreneurship”. What has been the reciprocity you’ve got? “The first weeks have been really good for us. Our clients have given us really positive feedback and more importantly, they have come back and ordered again”. Rafael feels confident and happy that the business will have a bright future. “Mostly young adults who wish to take a good breakfast and love trying new things. Also, it is important to say our products are 100% organic and nowadays people are more interested in knowing about ingredients and how their meals are being prepared. Our Cachitos are targeted to those who want quality and care about their breakfast”. For those who suffer from allergies, Rafael mentions that “our Cachitos contain milk, nuts, eggs, and gluten” and also, he told us that even though they are looking forward to experimenting with new recipes and more variety suitable for all the public, right now Cachitos Bakery does not have an option suitable for vegans, but for vegetarians. Tell the people who are reading this article why they should try Cachitos? “Cachitos are a good option for the perfect breakfast from home. They are delicious and I invite everybody reading this article to give them a try and support new local businesses”. As an incentive, it’s good to note that the company offers free delivery on a minimum order of 4 Cachitos on a 5km radius from Rathgar area. Rafael invites all Circular readers to follow Cachitos Bakery on the Social Media and to get in touch. You can also give them thumbs up on Facebook or a follow on Instagram @cachitosbakery. Would you like to try Cachitos? Order now! And for those who got hungry and want to try the recipe at home, here is a link to the Genius Kitchen, on how to bake Ham crescent rolls. And also see below a video from Home Cooking Adventure.